Anyone interested in alternative home building projects may know Ross Lukeman of Alternative Homes Today. Ross worked for years as an architect, but recently quit his job to run his online business. His home is new as well. 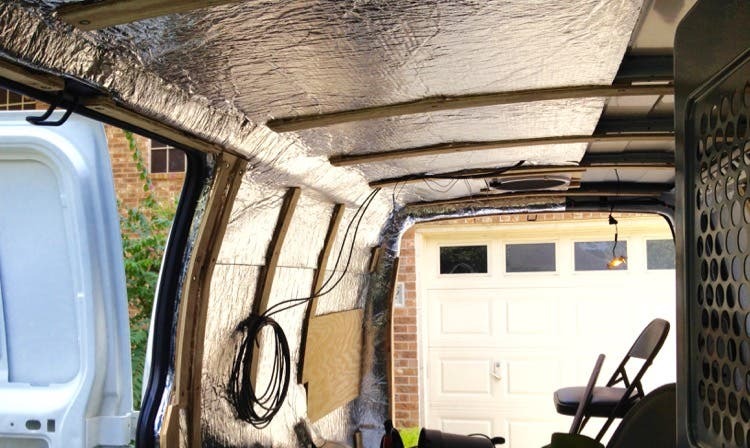 Ross recently converted and will be moving into a Chevy cargo van and is offering a course on how to convert your own van for full-time living. Ross realized that the van dwelling life was a viable option for him with its lower expenses. 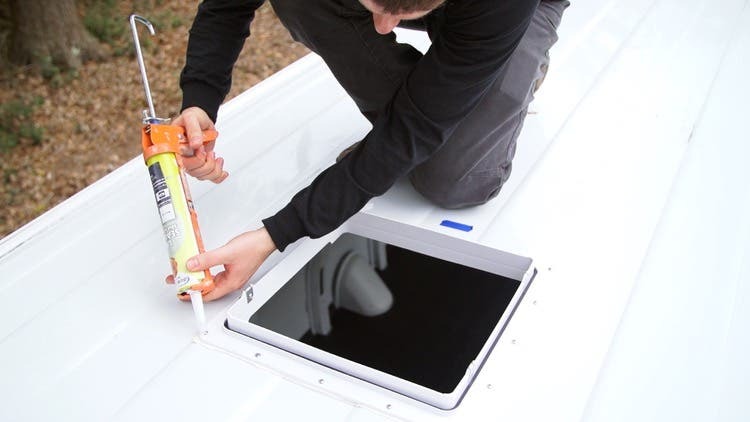 He took a few months to convert a 2014 Chevy Express 2500 Extended van into a tiny house with a twin bed, an office with a wall-mounted computer, water tanks, a sink and a cooktop. 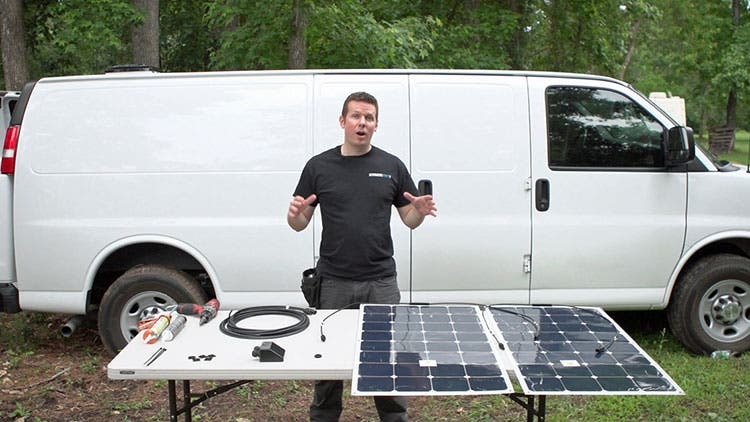 The roof has 200 watts of flexible solar panels connected to a 300 watt inverter. He plans to shower with his nationally accepted pass for 24-Hour Fitness, at National and state parks and truck stops. He has an emergency camping toilet stored under the bed. 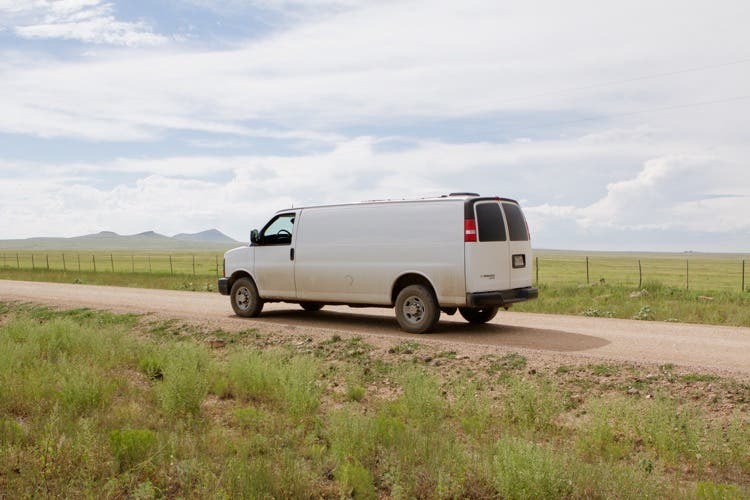 The van, originally used by a rental company in Colorado, cost $22,500. So far, Ross has spent another $3,600 converting the van into his tiny home. Larger expenses included the electrical components, a backup camera and window tinting. 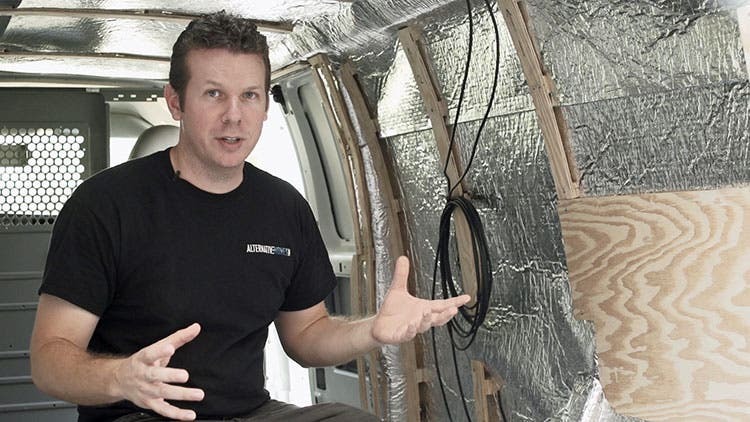 Ross’s Cargo Van Conversion Course ($197) will be available September 15, 2015 and will include 12+ chapters of high-definition, professionally shot videos showing his complete step-by-step conversion. Once a week, a new video chapter will be released along with guides and material lists. Everything will be available online so registered students can go at their own pace. There will also be live calls with Ross and a Facebook group so students can get their specific questions answered. Anyone interested in the course can sign up before the launch to be added to the email list. Looks great. the simpler the better. But can he help you find a place to live down by the river? But can he help you to find a place to live down by the river? Looks very informative! Thanks so much for featuring this article. I have never thought of taking a cargo van and turning it into a tiny house. Thank you for sharing this. It is cool to see the different options out there!